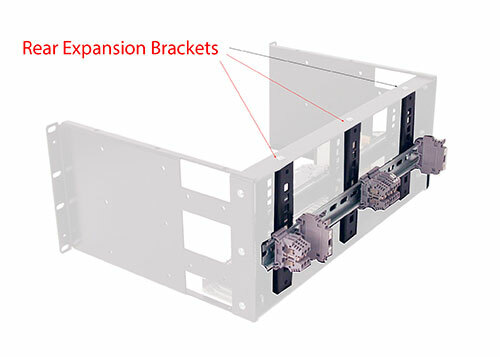 IRP1-CNB rear mount expansion bracket doubles your existing installation space without buying a new Din Rail Panel. 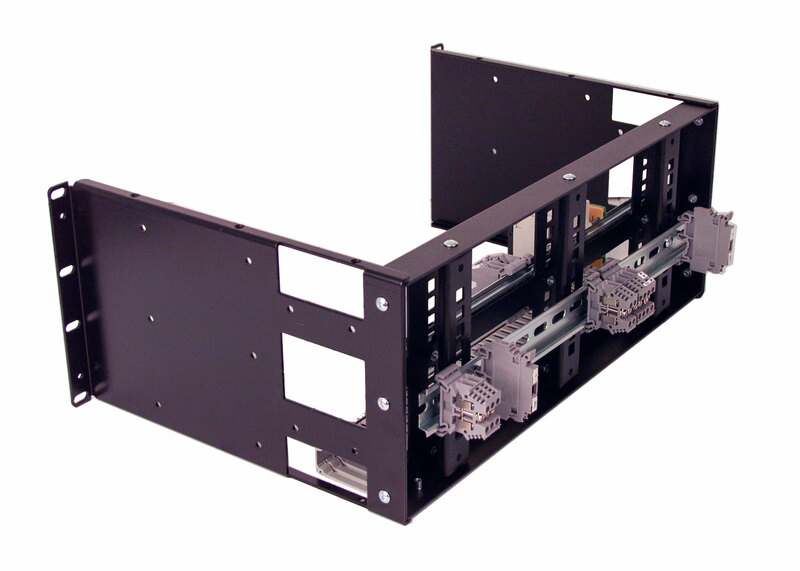 IRP1-CNB is design to utilize the empty space behind our DIN Rail Panels. Our RCB1111BK15, RCB1112BK15, and RCB1118BK15 have special counter sink mounting holes at top and bottom flange which works with IRP1-CNB brackets. Installation is fast and easy. 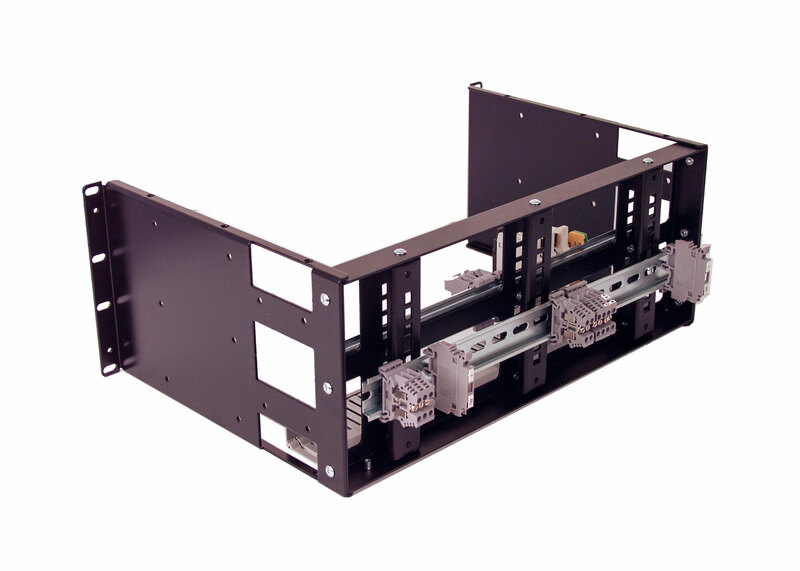 IRP1-CNB offer the same DIN Rail mounting method as our standard DIN Rail Panel. 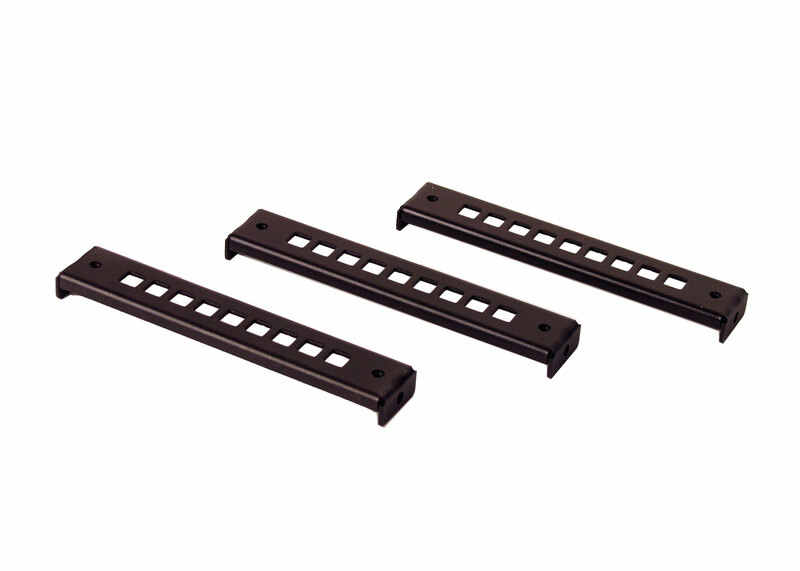 You can mount DIN Rail or PVC Wire duct at any height that is available. IRP1-CNB is especially useful if you have limited rack space to work with. IRP1-CNB helps you to pack more DIN Rail equipment than any other design available on the market. Din rail vertical mounting position adjustable. (1) #6-32 standoff for mounting grounding cable. Mounting Hardware Included (3) M4 Cage Nuts, M4 Screws, and (6) M4 Flat Head screws. Max Load Load Capacity for panel 50LB Max. 4 3D STEP and DWG files are available upon request. Need major or minor modification? Call for detail.